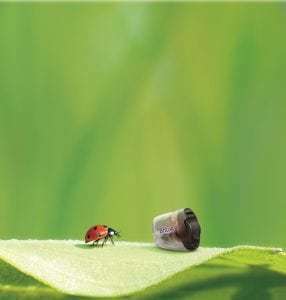 Oticon is a hearing aid manufacturer recognized internationally for focusing on its customers. One of the reasons we use Oticon hearing aids is the company’s philosophy of “People come first”. They have proven to understand that hearing is vital to connecting with individuals and the world around them. Their mission is to provide innovative, high-end technology to help strengthen these relationships. Oticon has been studying the link between hearing and the brain for nearly two decades. Their “brain first” approach to audiology recognizes that speech understanding and comprehension are cognitive processes that happen in the brain. Oticon’s BrainHearing™ technology delivers improved speech understanding in a way that helps the brain make sense of sound. Depending on what a patient requires for their current lifestyle, Oticon hearing aids are systematized by their levels of technology. All of the technologies come in an extensive array of colors and styles. Oticon’s incredible new technology in Opn is fast enough to support the brain. It constantly opens up and balances individual sounds to deliver a rich and meaningful soundscape, allowing the brain to choose the sound to focus on and easily change its focus as desired. This results in significant improvement understanding speech in complex environments, while preserving mental energy. It provides more accurate information by making it easier to locate and separate sound sources. 20% Less Listening Effort – This reduces the load on the brain in noisy environments. Oticon’s tinnitus feature includes soothing ocean sounds and can be added to any of the Opn devices. Staying true to its philosophy of customization, Oticon strives to provide flexibility for the practitioner to fit individuals with the distinctive features and technology needed to suit the patient’s particular needs and lifestyle. The Dynamo is Oticon’s super power hearing aid model designed for adults. These hearing aids require a larger battery size to operate, and larger batteries will only fit behind the ear casing. Therefore, the Dynamo is only available in the BTE style but does come in several technology levels including Basic, Essential, Advanced, and Premium. Oticon is always looking to help individuals connect with the world around them. The Streamer Pro and Connectline are assistive listening devices that enable the wireless connection of hearing aids with various other sound sources, such as mobile phones, television, personal microphones, computers and MP3 players. Connectline accessories are compatible with any of Oticon’s wireless hearing aids. The Amigo is a personal FM system that can provide direct audio input from a microphone worn by anyone such as a dinner companion, a teacher, a business colleague or a spouse. It is compatible with all current styles and models of Oticon hearing aids. Your hearing specialist at Sound Relief Hearing Center will help you conclude what configuration will be required to connect your hearing aids with Amigo.